Philadelphia, PA – Disgusted by the 15 minutes he watched of the Flyers 5-2 loss on Thursday night against the Washington Capitals, Kenneth Franklin, 49, dropped a bombshell of an idea on his drinking buddy as the two exited McGlinchey’s Bar after a few beers. Franklin, who has never played a minute of hockey in his life and watches the game sporadically throughout the season when the 76ers are not on TV, levied an idea that would bring the franchise to its knees with its brazenness. Franklin astutely observed the Flyers have “won nothing” since Giroux has been with the roster and “wouldn’t miss him much” if he was traded. “Besides, I hear they have some stud forward down on the Phantoms right now. Sean Ghost, or something? Bring him up, lets see what he can do Hextall,” Franklin said to nobody in particular as he staggered home. 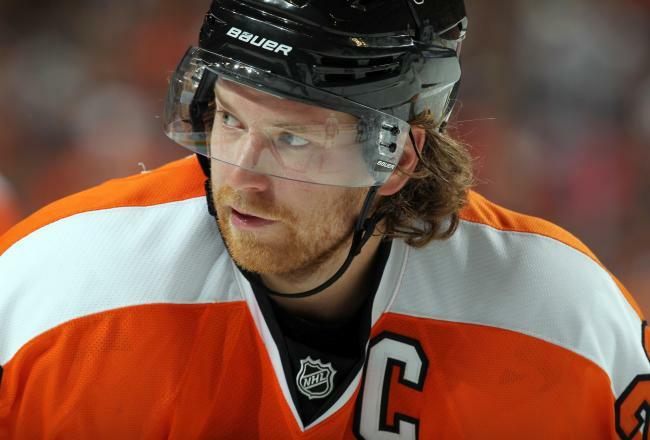 Perhaps most damning, Franklin questioned Giroux’s leadership qualities and asked if some type of move should be made in terms of the team’s captaincy. “He is the captain, right? I think he’s the captain. If so, he needs to be stripped of the C immediately. It’s not like the good old days when Mike Richards was in charge of this team. He could lead,” Franklin said. Richards is currently out of the league and is struggling with alleged substance abuse problems. The wobbly Franklin wagered the Flyers could get a hefty return for the young superstar. “I dunno, I bet the Penguins would trade Crosby for him,” he said. At press time, Franklin was fast asleep on the front stoop of his South Philadelphia rowhome.